The month of February seemed to last forever, but now it’s March and Spring will soon be here! Happy Birthday to everyone born this month! The birthstone for March is the lovely light blue stone, the Aquamarine. Many people get this stone mixed up with the Topaz, however, the Aquamarine is a lot lighter blue in color than the Topaz. It exists in many shades of blue, from pale versions to the color of the deep blue sky, and some stones are tinged with green — it owes its color to the presence of iron. Deeper colored aquamarines have the highest value. The Aquamarine, is a form of Beryl, the same mineral family that the Emerald belongs to. The highest quality of Aquamarine is very clear, with fewer inclusions than emerald, but aquamarine that is less clear can be just as beautiful. Aquamarine is a durable gemstone, and is rated at 7.5 on the Moh’s scale (compared to diamond at 10). Where does it comes from? – Much of the world’s supply of Aquamarine comes from Brazil, with one particularly vivid blue type called Santa Maria because it originates from the country’s Santa Maria de Itabira mine. Aquamarines are also found in Africa, the Middle East, Mexico and even the United States. Did you know? – The Aquamarine in Latin means, “Water of the Sea.” It was once referred to as “The Sailor’s Stone.” Sailors began to take aquamarine on sea journeys and tossed them into the sea as gifts to Poseidon for safe voyages. Legend also has it that Poseidon gave aquamarines to mermaids as gifts. Aquamarine is also considered to have wonderful effects on married couples, making it a wonderful anniversary gift. 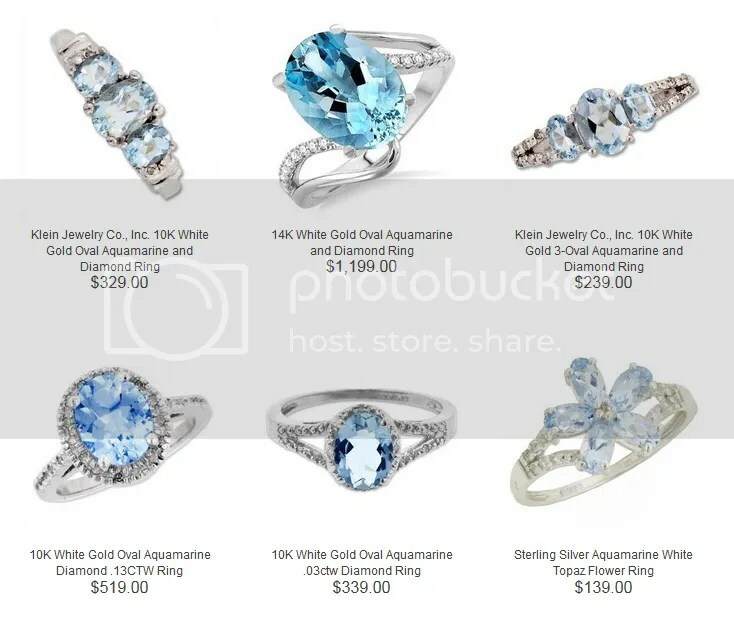 Be sure and check out our amazing aquamarines in our stores or online here. This entry was posted in Birthstones, Jewelry and tagged aquamarine, birthstone, birthstones, blue, Jewelry, march birthstone. Bookmark the permalink.